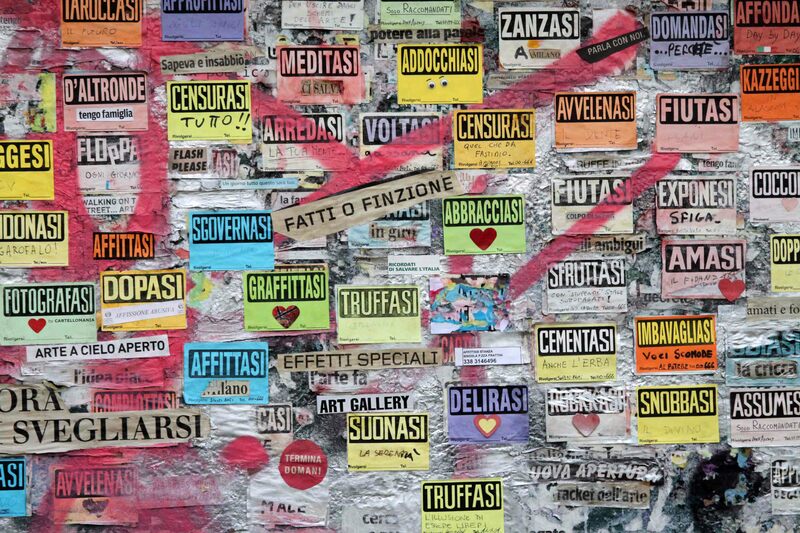 This pretend noticeboard spotted in Milan, Italy, creates a sense of community – both with the colourful array of stickers and what they represent. I like to think that is message the street artist is aiming to convey. Nice shot, Eleanor. Good choice for the challenge. What amazes me in how neat it is! I presume it was all posted at the same time. I find it fascinating and strangely beautiful – especially as it’s in a foreign language, with everything ending with ‘si’! Well, almost everything, there is one random post saying d’altronde. Not sure if that is significant! Awesome picture…really gives a sense of community.